Soon, Hollywood’s most elite and beautiful stars will take to the red carpet where they will be recognized for their performances at the 86th Annual Academy Awards. Millions of viewers will tune in to catch glimpses of which designers will be best represented and which films will take home the highest honors of the evening. While winners will go home carrying the coveted golden Oscar, consumers and businesses won’t have to leave empty-handed. The Oscars provide a ripe opportunity for companies to extend event giveaways or increase their brand awareness. Not only do social media outlets and commercial time slots give businesses a medium through which they can incorporate promotional advertising, but corporate items gifted to celebrities at the event can pave the way for future marketing strategies. While commercial breaks are riddled with opportunity for companies to advertise their products, implementing promotion through social media may allow for companies to see an increased amount of interaction with its consumer base. During popular televised events, such as the Super Bowl or Winter Olympics, people flock to their networking sites to engage in conversation with their friends and peers across the globe. Companies who successfully jump on this bandwagon can receive a large amount of attention from potential buyers, especially on Twitter. Twitter allows users to create unique hashtags relevant to an event or specific occurrence, and the site typically sees increased activity during highly trafficked televised events, Ad Week reported. Companies that quickly send humorous tweets in response to televised actions may reap high rewards, as evidenced by the Twitter accounts for both Arby’s and Oreo Cookie. In 2013, the Super Bowl experienced a blackout after the halftime performance, sparking thousands of tweets from confused viewers. Oreo Cookie’s Twitter account immediately banked on this phenomenon, tweeting, “Power out? No problem,” with a link to a photo that read, “You can still dunk in the dark.” The tweet was an instant success, garnering nearly 16,000 retweets and mentions on different sites from Huffington Post to Business Insider. The most recent popularized company tweet, however, stemmed from fast food company Arby’s during the 2014 Grammy’s. Pharrell Williams, a Grammy winning artist who was at the ceremony, arrived wearing a large brown hat that sparked a reaction from the Internet community. Noticing the backlash Pharrell was receiving due to his clothing choice, Arby’s tweeted, “Hey @Pharrell, can we have our hat back? #GRAMMYs.” The tweet has since been retweeted nearly 84,000 times. 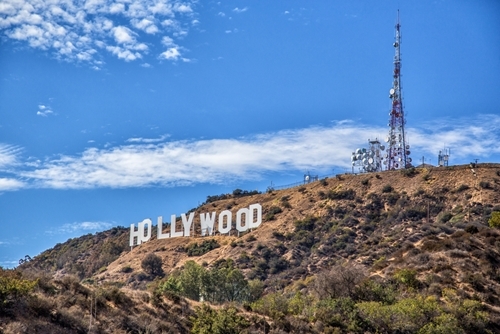 Staying digitally connected during the Academy Awards is important, whether companies are looking to hitch a ride on trending topics or seeking a way to spread promotional items that connect to the event. While viewers may only receive the gift of virtually attending the illustrious awards show, some individuals who have the privilege of physically being at the event receive baskets filled with promotional gifts from companies looking to create fans of celebrities. One marketing firm in Los Angeles provides a more lavish option for Oscar nominees who did not take home the gold. Called the “Everyone Wins at the Oscars” bags, individuals in popular categories who do not win will take home thousands of dollars worth of merchandise, something the company has been doing for 15 years. The 2014 gift bags feature more than $80,000 worth of goodies, according to Huffington Post. While the gifts include designer-name brand fashion items, including Jan Lewis bracelets and Jitseu handbags, recipients also get aerial lessons, deluxe vacation packages and donations to a celebrity’s choice pet charity.